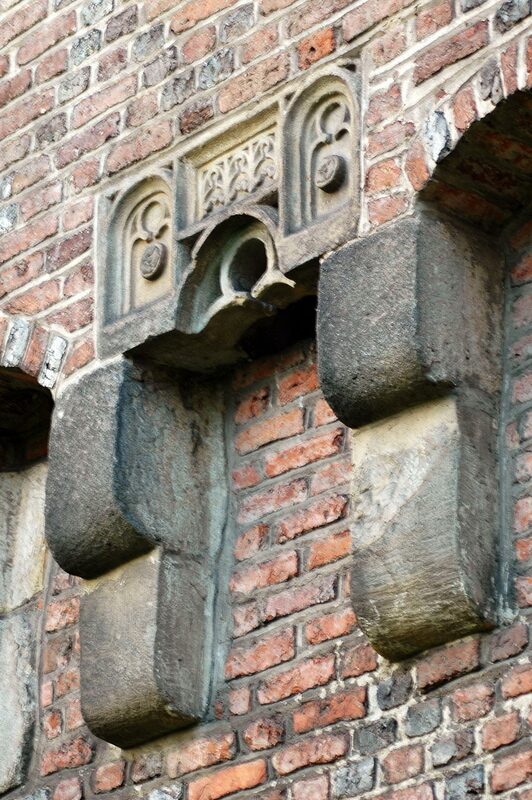 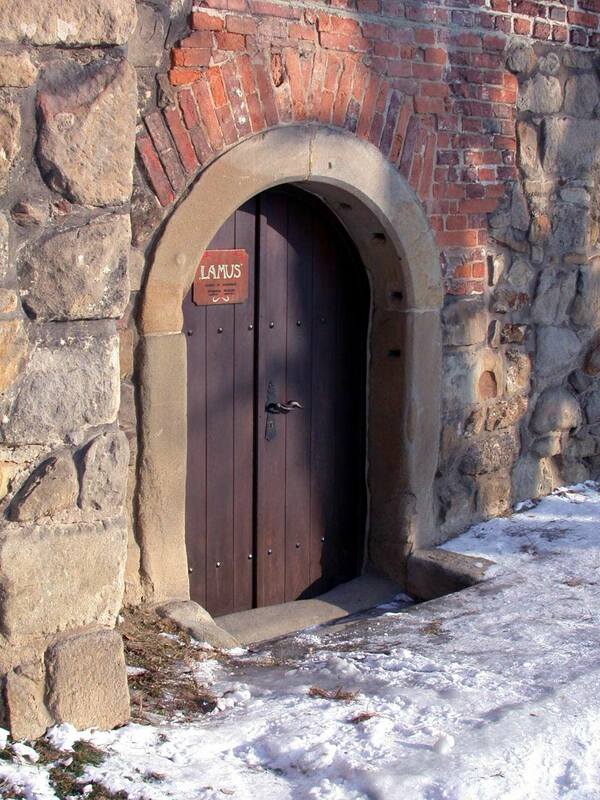 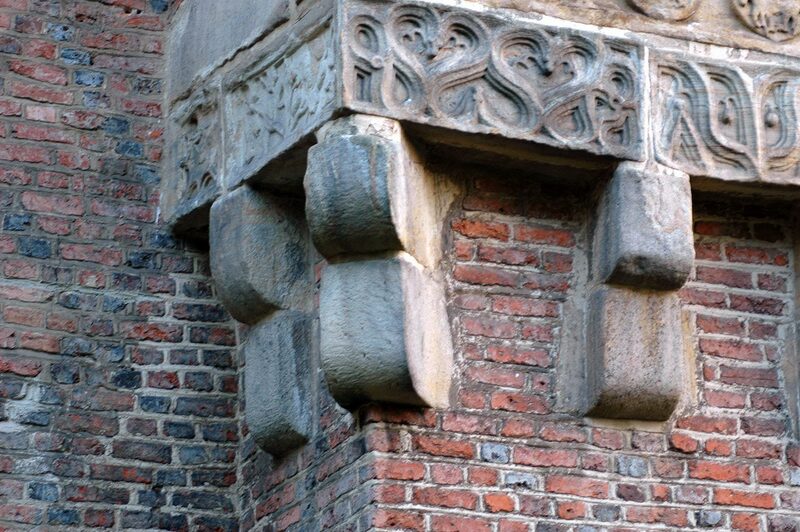 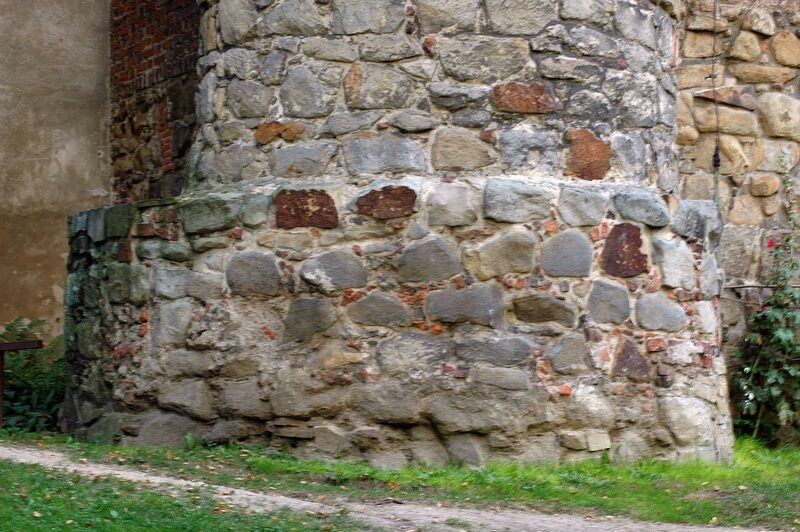 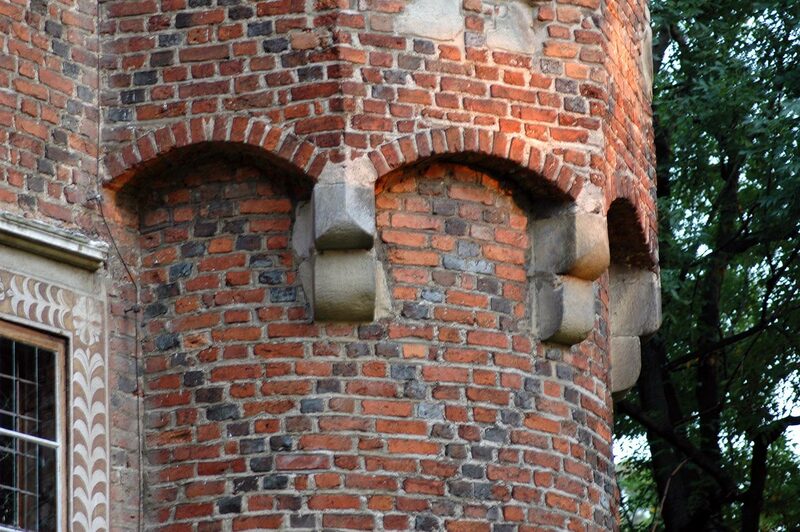 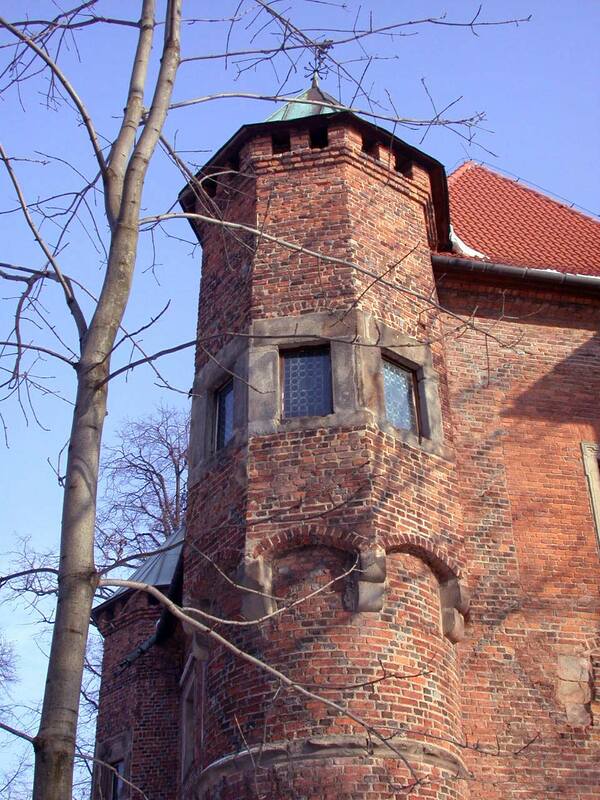 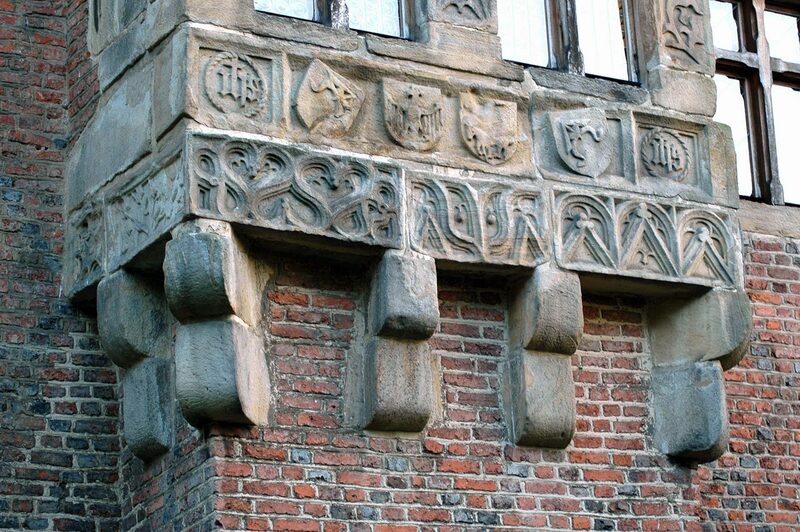 h e first fortification in Dębno was raised by the Gryfici in the second half of the 13th century. 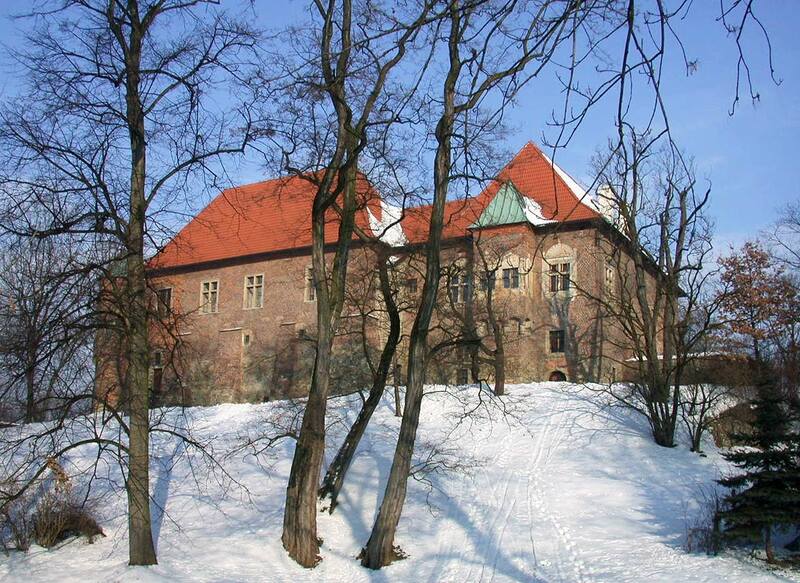 This timber-and-earth construction of an oval plan was erected on a low hill surrounded by moat. 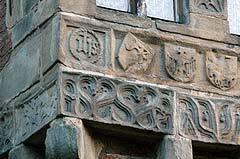 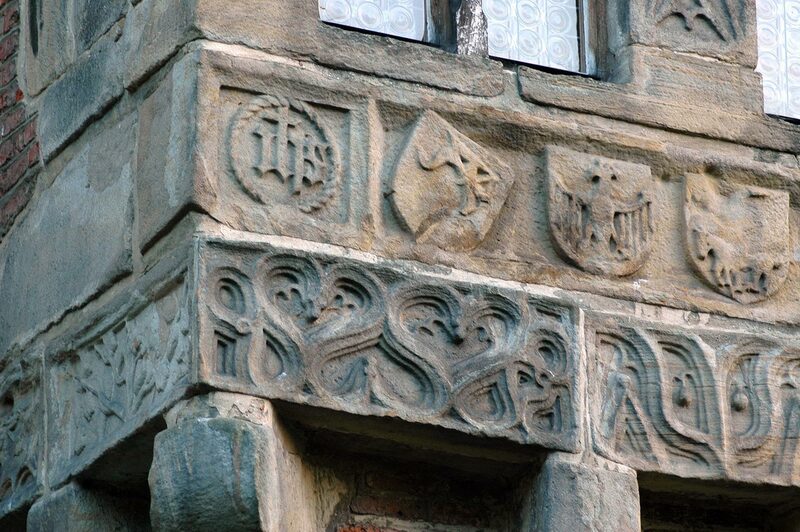 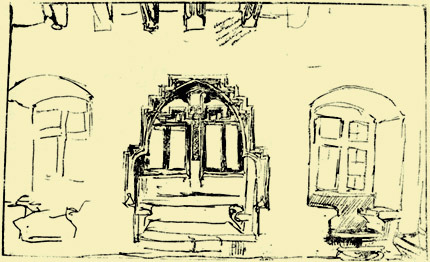 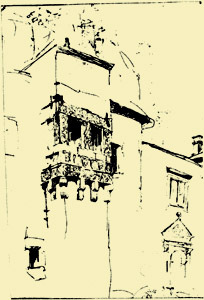 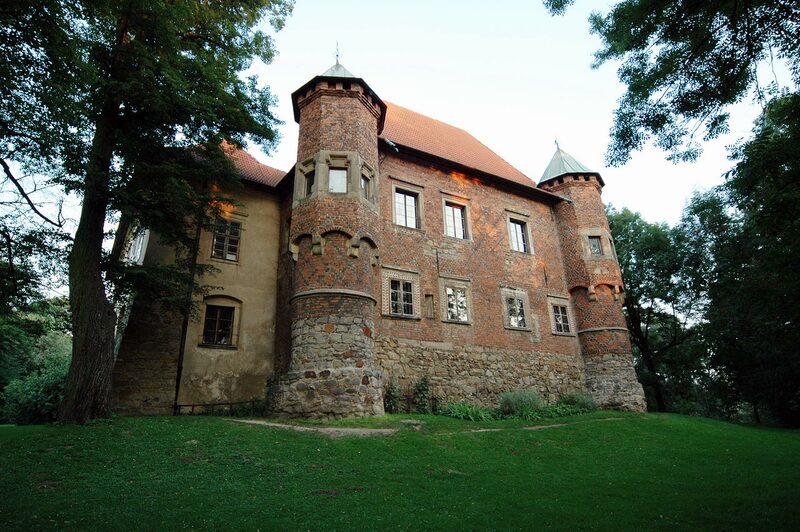 Soon it passed into hands of the Pobogowie family, to become a property of the Odrowąż family in the middle of the 14th century. 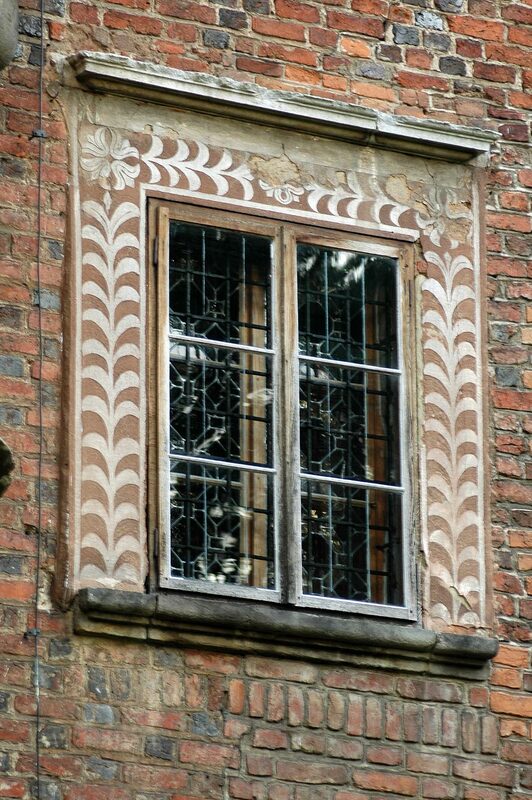 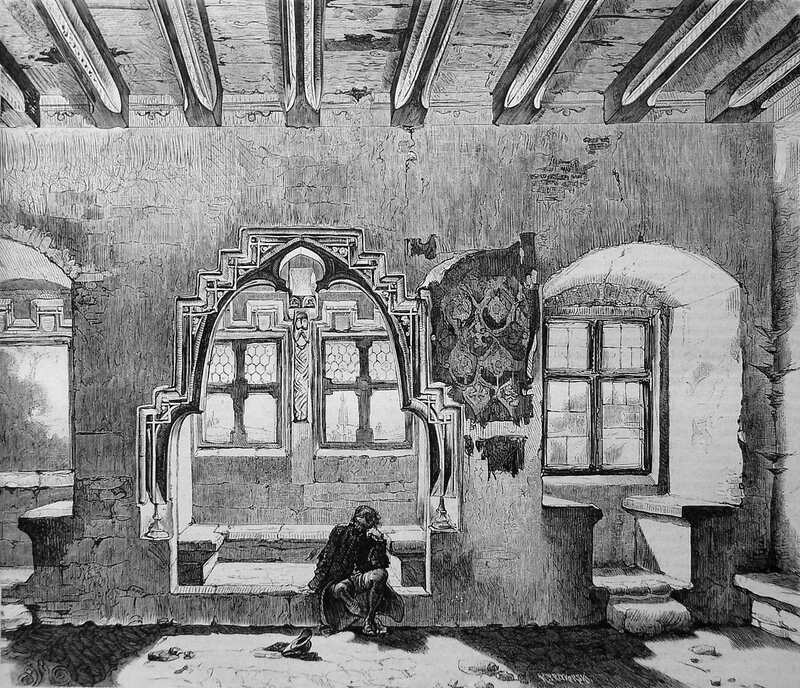 Jakub Dębiński of the house of Odrowąż, the Castellan of Cracow and the Great Crown Chancellor ordered the building of the brick and stone construction on the site of the old residence in the years 1470-1480.
floor of the west wing building. 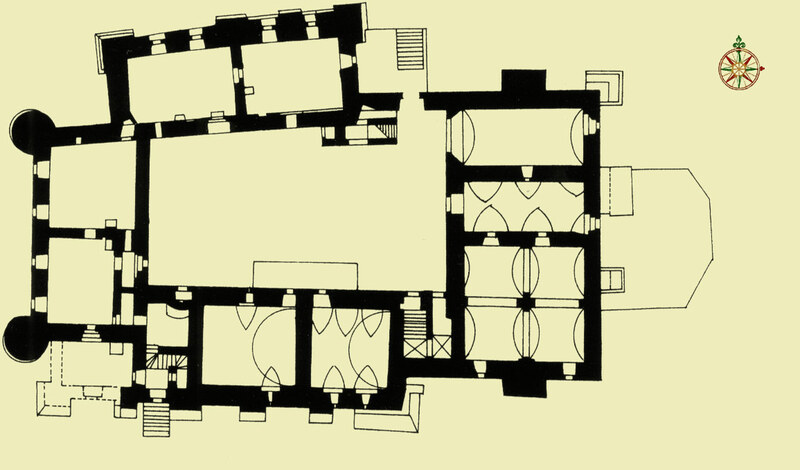 Its first floor houses spacious Concert Hall. 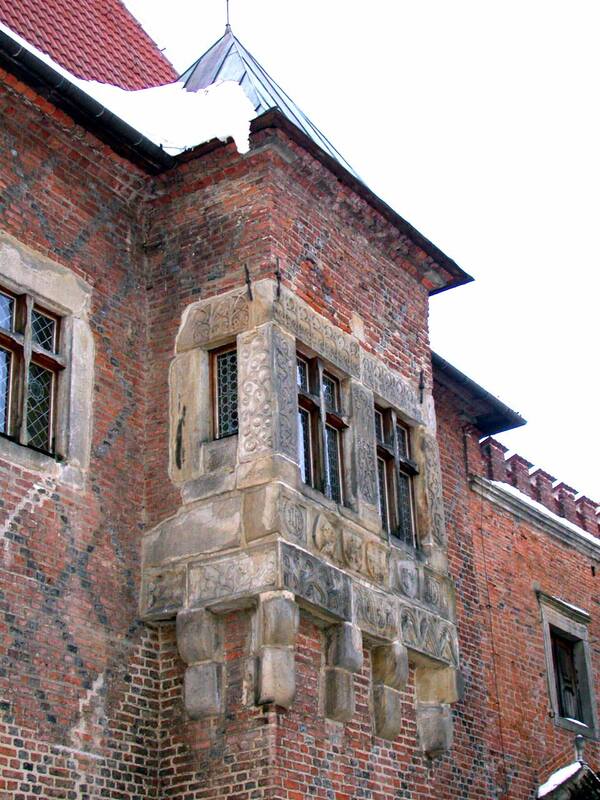 Oriels are projecting out of the north and south walls of the east wing building. 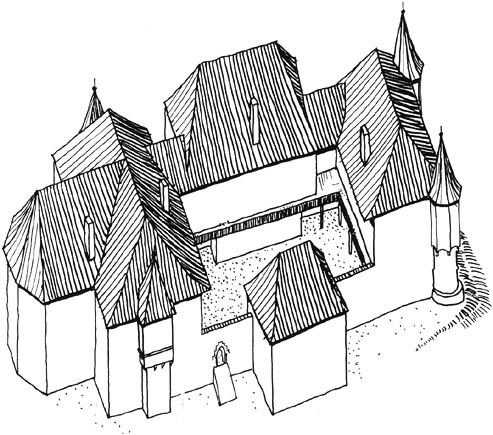 To its east wall a multi-sided structure, probably the chapel, was attached. 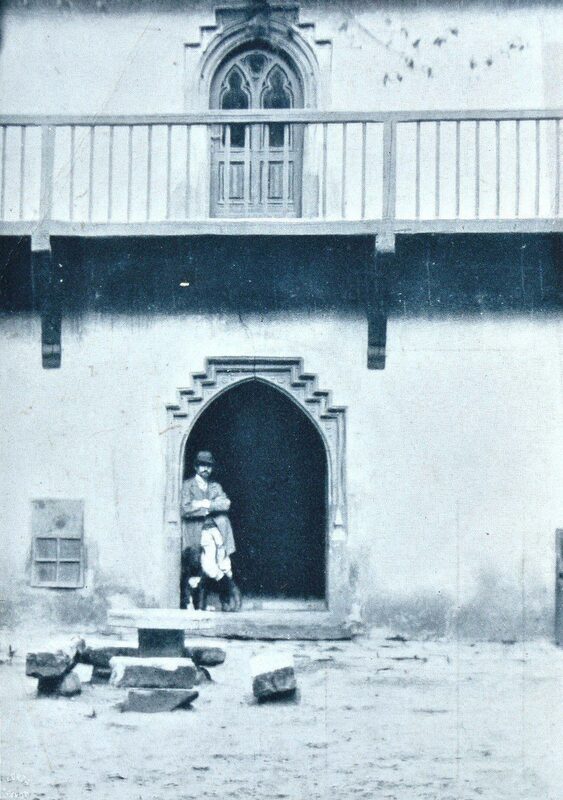 There is a well in the courtyard. 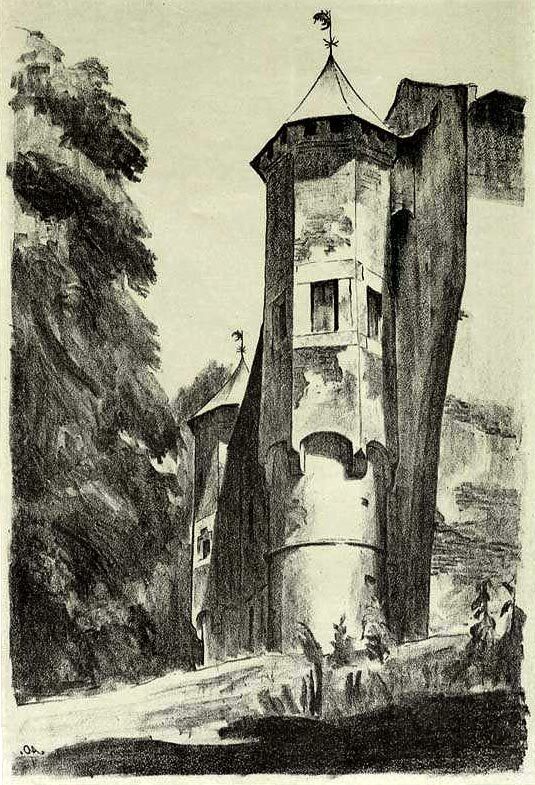 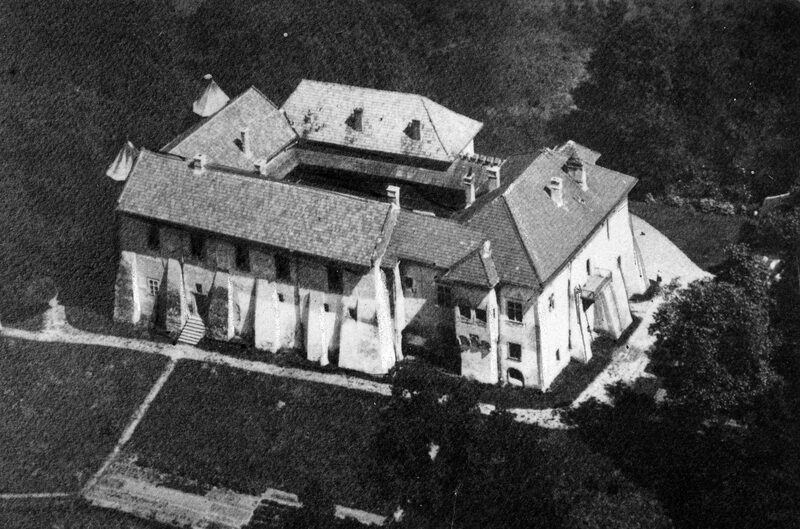 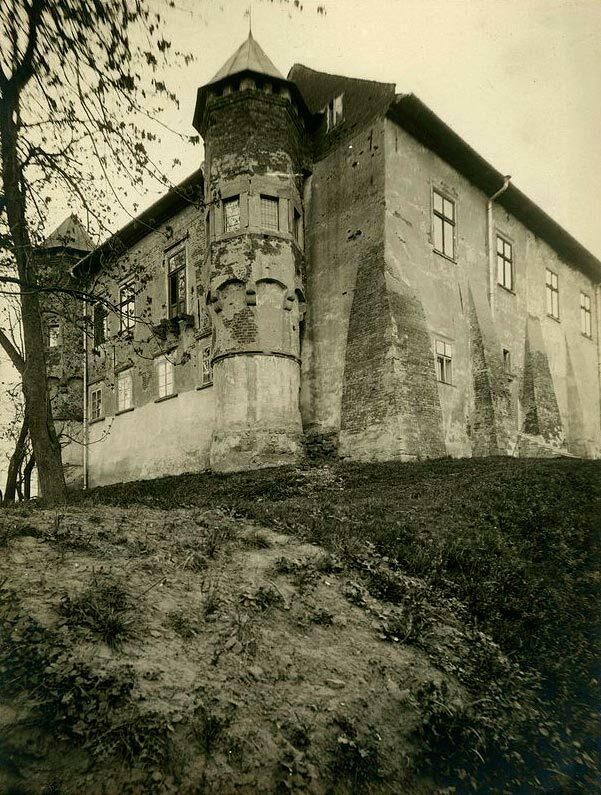 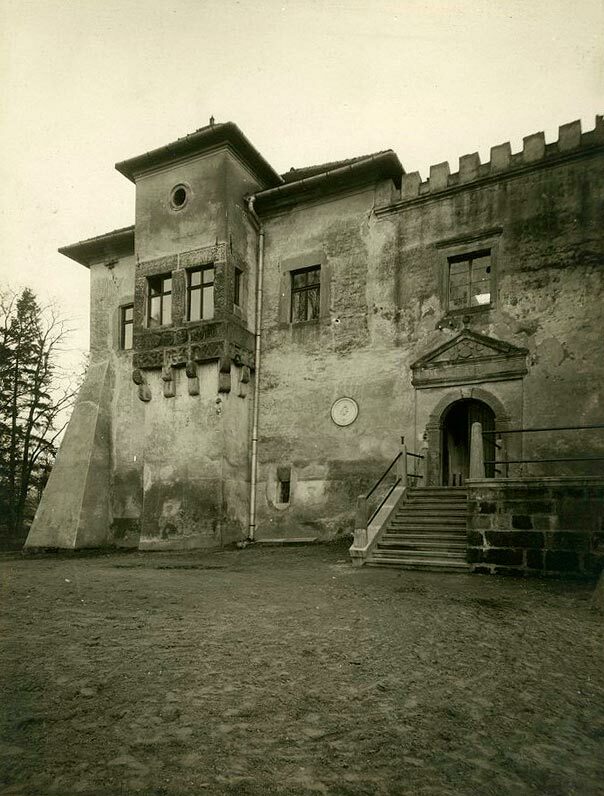 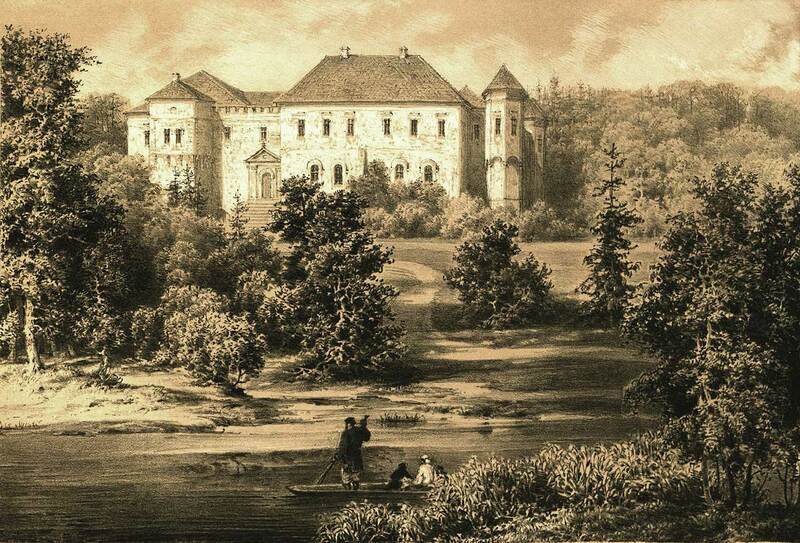 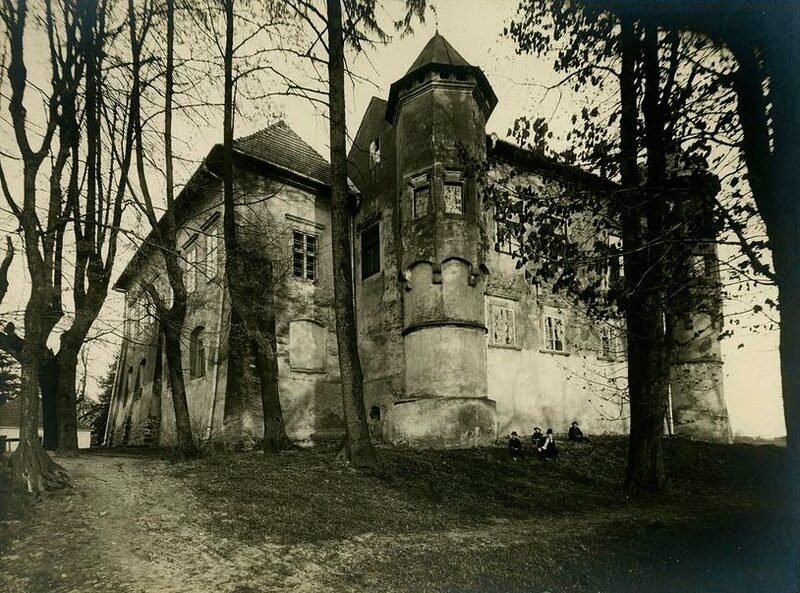 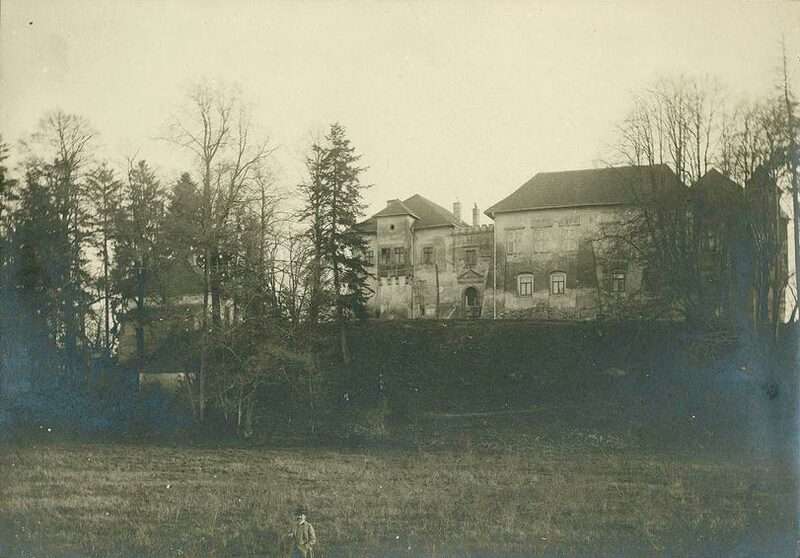 The Dębno estates belonged also to the following families: the Wesselini, the Tarłowie (18th century), the Lanckoroński (mid-18th century), the Rogowski and the Rudnicki.The fire in the 19th century destroyed mainly the interiors of the castle. 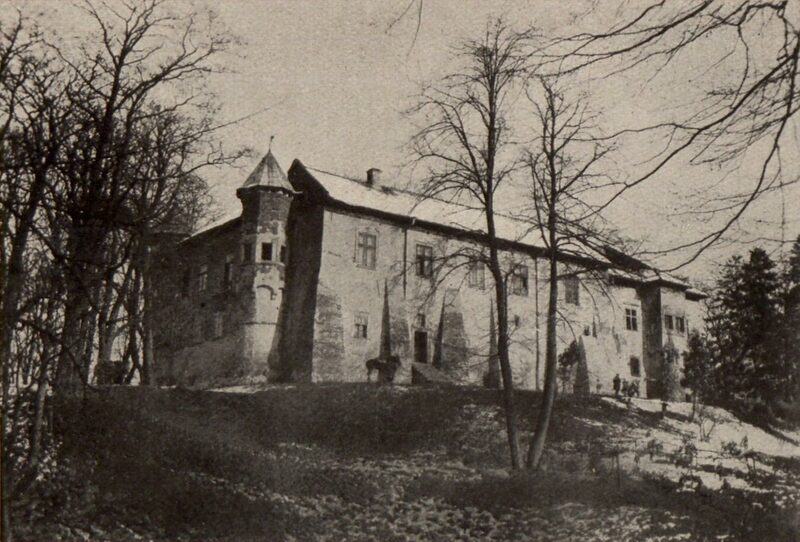 The Jarzębski family of the house of Ślepowron held the Dębno estates in the years 1835-1945. 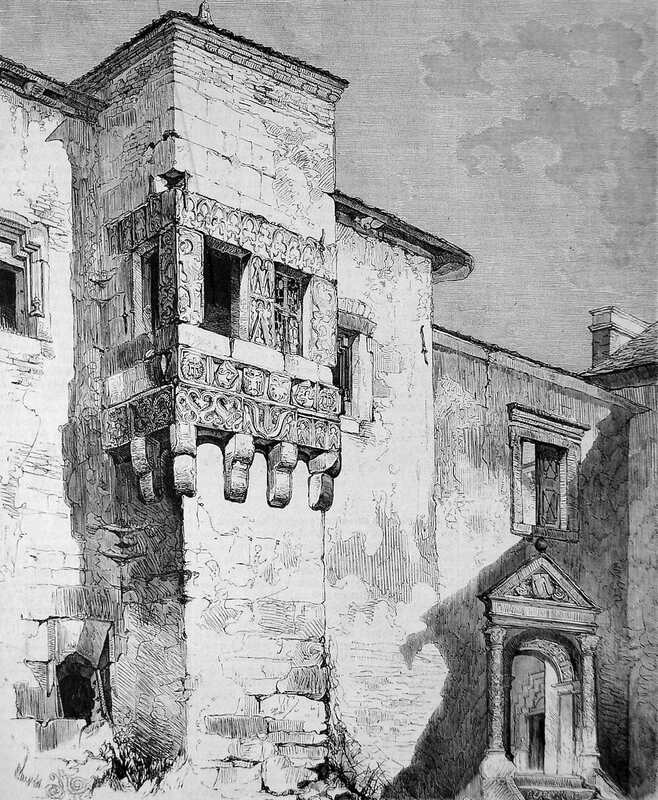 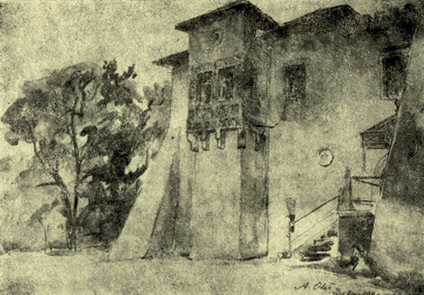 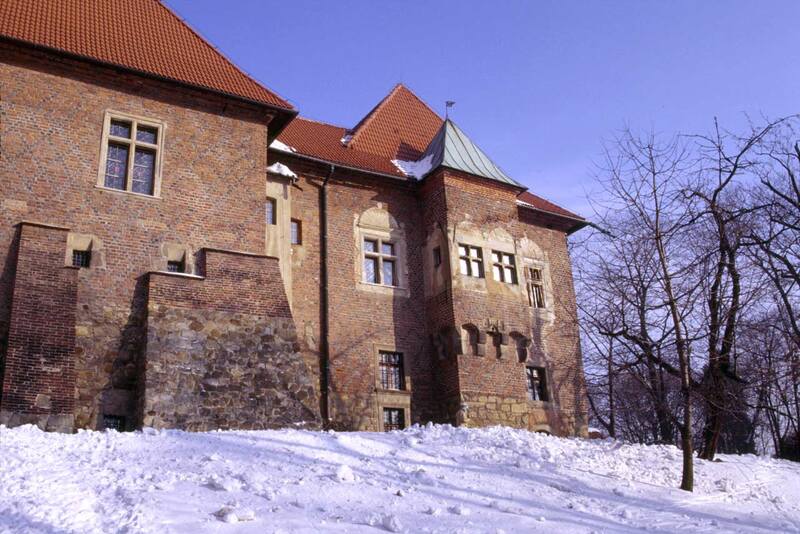 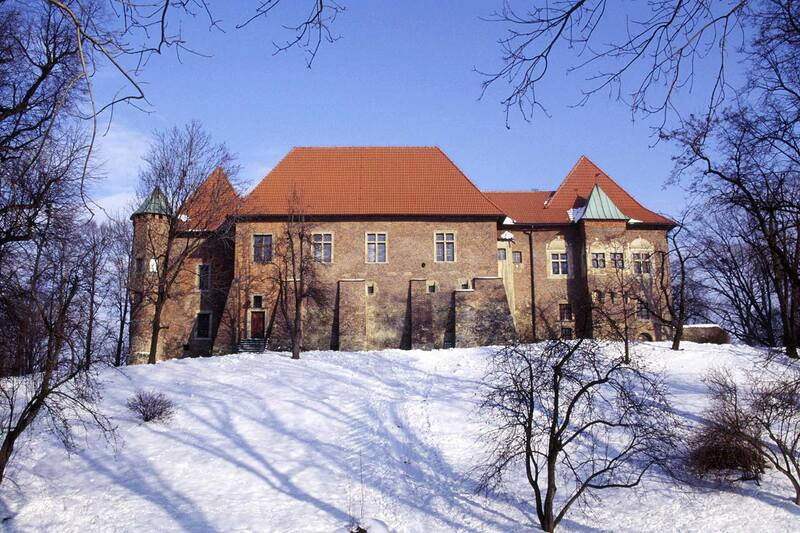 After the world war II the castle served initially as a police-station (then Civic Militia). 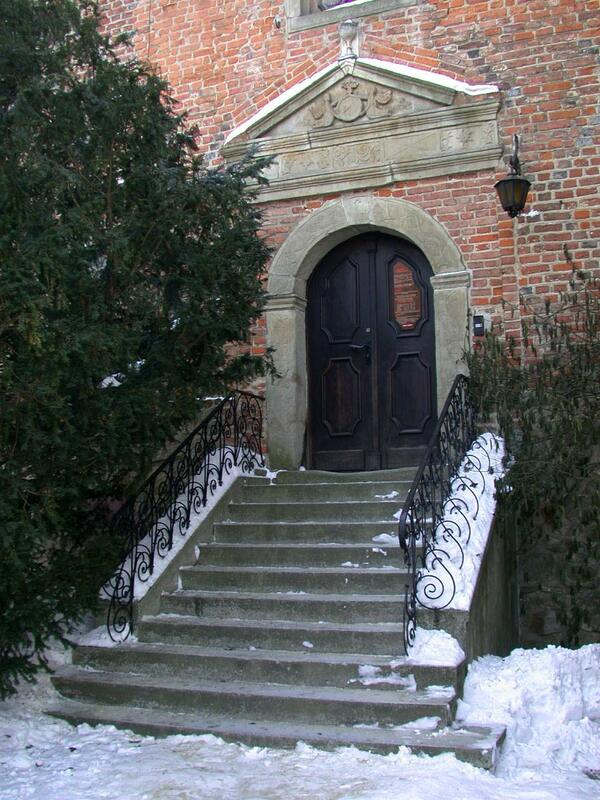 Soon after renovation works had been carried out in the years 1970-1978 it became the seat of a branch of the Regional Museum in Tarnów.